: Choose a creature card at random from target opponent's graveyard. Put that card onto the battlefield under your control. Back in My Day They Were Just Creatures! Those Who Forget History are Doomed to Lose to it. 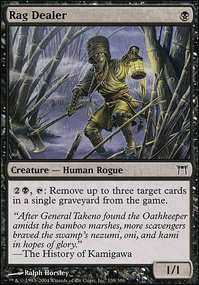 Adun Oakenshield is okay recursion, Anafenza, the Foremost is a good body, Captain Lannery Storm is good ramp, Dosan the Falling Leaf is good against control, Grand Warlord Radha is great ramp, Hua Tuo, Honored Physician is good recursion, Isamaru, Hound of Konda is a gud boi (and a one-drop), Kambal, Consul of Allocation is good taxation without representation, Karador, Ghost Chieftain is SICK and also very flavorfully appropriate for this deck, Kothophed, Soul Hoarder is great draw, Kytheon, Hero of Akros Flip is a good body, Mirri, Weatherlight Duelist is good protection, Ravos, Soultender is good recursion, Rhonas the Indomitable is good but you'll have to see if you like God-Eternal Rhonas better (I like OG Rhonas better unless your repeating God-Eternal's ETB), Sek'Kuar, Deathkeeper is good block deterrence, one of the Tajics ( Tajic, Blade of the Legion or Tajic, Legion's Edge ), both are good bodies, Tana, the Bloodsower is good body + chump blockers, Tariel, Reckoner of Souls is good recursion, Varchild, Betrayer of Kjeldor is good fun, and Zurgo Helmsmasher is a surprisingly fun political piece. 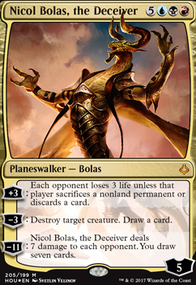 Also, I'd really recommend you include planeswalkers, and also you're running two Selvalas and two Odrics. @SynergyBuild: Lulz. Never thought I'm saying this, after I found how a damned Accordion works here, I had to decide to do something like this as a Wincon in (Mardu). Though what CMDR to use is something I still dunno… Not Counting Mayael variants Kaalia of the Vast , or Aggro Zurgo Helmsmasher , Vamps w/ no support for this (Any Mardu CMDR of C17's Vampire Tribal. ), Weenies Alesha, Who Smiles at Death , much less Aikido Queen Marchesa . Same also goes for Partner CMDRS. One Wincon in question allows Doomsday , but I wanted an all Package. 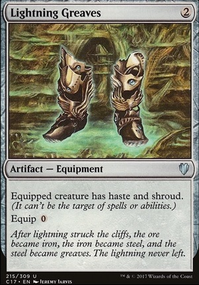 I wonder what I can use for this; as I've little options; maybe Mathas, Fiend Seeker could be good? Tariel, Reckoner of Souls ? I doubt Oros, the Avenger will do anything... Ideas? 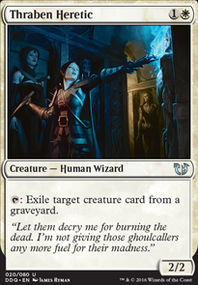 Not trying to sound rude, but the deck seems really unfocused outside of just getting big, free creatures. Oni of Wild Places + Rakdos the Defiler : When Oni of Wild Places is in play, bring Rakdos the Defiler into play tapped and attacking with Kaalia's ability. 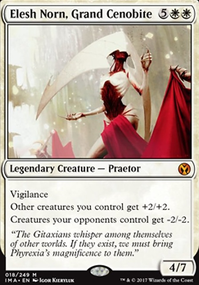 Since you didn't declare Rakdos as an attacking creature, you ignore the first half of his ability. 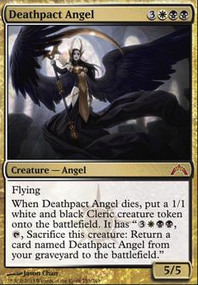 Deal damage, opponent sacs half their non-demon permanents. 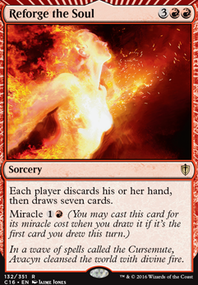 At the beginning of your next upkeep, use Oni's ability to put Rakdos back into your hand to repeat the process. 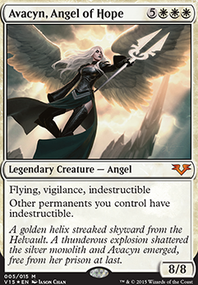 Kaalia was one of my first EDH commanders and I loved her, but she draws way too much attention at the table. So I've started going with commanders who don't have such a huge presence. 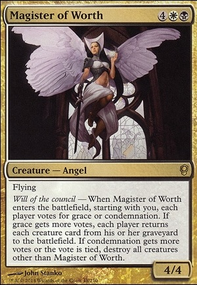 One guy I know runs a bunch of land destruction/discard with her to make sure that opponents have a really hard time responding to Kaalia and her hoard. 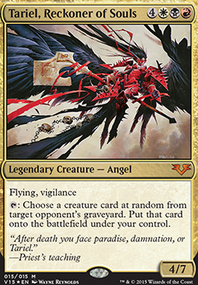 Tariel, Reckoner of Souls - Not a bad card by any means, but in Kaalia unless you plan on randomly resurrecting your opponents' creatures, this probably won't do much. Utvara Hellkite - Not a bad card on it's own, but it just really shines in a dragon tribal deck imo. Again, a card I can't imagine you getting a whole lot of mileage out of. Dragon Tempest - Again, another card really focused for dragon tribal. 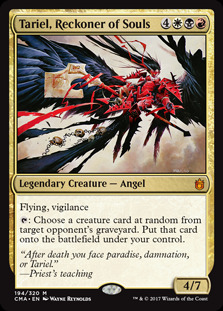 kamelyan on Enchantments? 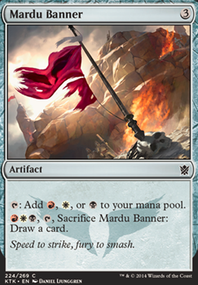 Don't Mind If I Mardu. 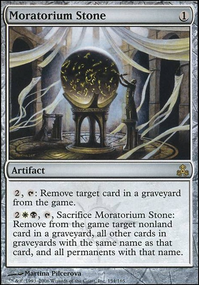 Natalbee, I used to love Scrying Sheets back in its standard days; unfortunately, it has wasted many a mana in commander more often than not. I don't have a Sunstone as of yet, but I'll definitely get one. As for this deck, however, I don't think I can make room for this artifact. I would need to also include a land recursion package to make it viable. Maybe it will find a home in a Green Pillow-Fort deck. The reason I chose Oros, the Avenger over Tariel, Reckoner of Souls is threefold: I don't own a Tariel, I've been on a legendary dragon stint lately, and Oros's ability pairs fairly well Death Pits of Rath . Natalbee on Enchantments? 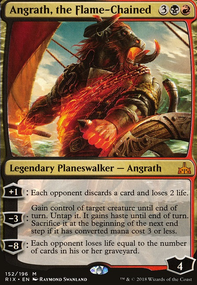 Don't Mind If I Mardu. Deck looks sweet! Surprised you don't have a Sunstone or Scrying Sheets in there with your 20 snow lands. And why did you decide to use Oros over someone like Tariel, Reckoner of Souls ? Seems decent with all the discarding. Just curious. 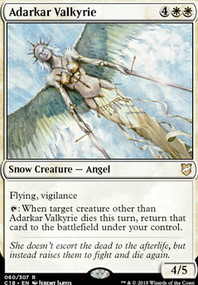 This deck actually started with a lot of commanders, chiri. Thantis, the Warweaver and Gahiji, Honored One were two big ones, but Mathas, Fiend Seeker , Queen Marchesa , Vaevictis Asmadi, the Dire , Selvala, Explorer Returned , and perhaps my favorite (mostly because he's such an underrated political piece) Zurgo Helmsmasher are all incredibly fearsome and piles of fun. Not only that, but after the attacks are forced, Tariel, Reckoner of Souls is a very neat fella to toy around with. Land: Temple of Triumph , Temple of Silence , Temple of Malice , Nomad Outpost , Temple of the False God , Reliquary Tower , Terramorphic Expanse , Evolving Wilds , Thawing Glaciers , Maze of Ith . 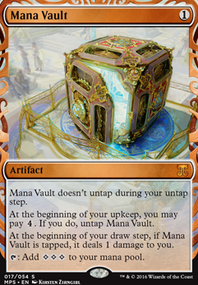 Mana Rocks: Boros Locket , Orzhov Locket , Sol Ring , Darksteel Ingot , Chromatic Lantern , Expedition Map , Gilded Lotus . Artifacts: Darksteel Plate , Winter Orb , Nevinyrral's Disk . Sorceries: Wrath of God , Diabolic Tutor , Vampiric Tutor , Earthquake . 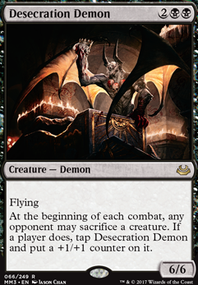 Instants: Terminate , Diabolic Edict , Geth's Verdict , Dismember , Go for the Throat , Hero's Downfall , Enlightened Tutor . 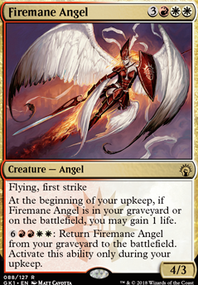 Creatures: Moltensteel Dragon , Doom Whisperer , Shalai, Voice of Plenty , Angelic Arbiter , Angelic Skirmisher , Platinum Angel , Linvala, Keeper of Silence , Tariel, Reckoner of Souls , Akroma, Angel of Fury , Avacyn, Angel of Hope , Scourge of the Throne , Hellkite Tyrant , Griselbrand , Rakdos, Lord of Riots , Overseer of the Damned , Ob Nixilis, the Fallen , Harvester of Souls , Kokusho, the Evening Star .